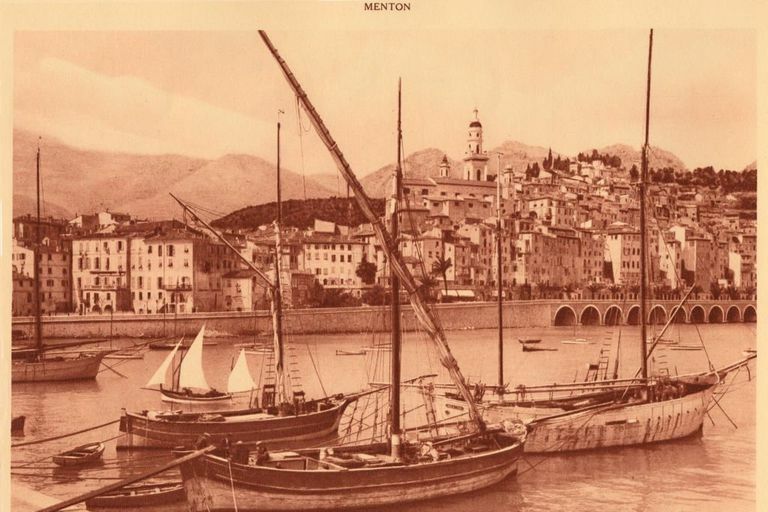 The harbor town of Menton, Cote De Azure, 1930. A sepia tone is a reddish brown monochrome tint. When applied to a photo, it gives the picture a warm, antique feeling. Sepia is a Greek word meaning "cuttlefish," a squidlike mollusk which secretes a dark brown ink or pigment. The ink derived from the secretion of the cuttlefish was used as a primitive pigment, although it has been replaced today by modern dyes. In photography, sepia refers to a brown tint which could occur in photos treated with a gold toning bath. Over time, the photo would fade into the reddish-brown tint we associate with sepia now.